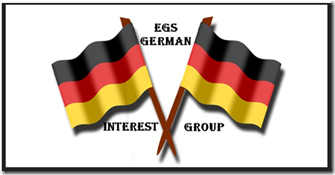 Saturday, May 4 Results of EWGS – Future of the Society (EWGS Meetings) 12:30 pm to 3:00 pm Spokane Public Library Auditorium – Downtown Spokane – Main Floor Barbara Brazzington will review the ideas that have been brought forward regarding our future as a Society. This will include things from meeting times to new ideas about the topics covered in our meetings. Monday evening, May 13, 2019. We would also appreciate it if you could help us publicize this event using this email or our flyer, attached above, by emailing it out, posting it on your bulletin board or calendar, and/or website, or handing out flyers to or sharing this email with those you think might be interested. including FREE access to the FHC computers and genealogical websites! • Free Wi-Fi available. Come early to network with other attendees! • Presentation starts promptly at 7:15 p.m.
Indexes for county records can be the key to finding deeds, probates, and more. As FamilySearch continues to digitize and make available more and more records, it’s crucial to be familiar with the different indexing systems and how to use them. Mary Kircher Roddy grew up in San Rafael, California. She earned a Bachelor of Liberal Studies degree from The University of California, Riverside in 1982 and a Master’s degree in Professional Accounting from the University of Texas in 1984. She earned a certificate in Genealogy and Family History at the University of Washington in 2005. Mary became interested in genealogy in 2000 in anticipation of a sabbatical in Ireland where her husband was a Fulbright Scholar at the University of Limerick. She was sure she would complete all her Irish genealogy while her husband taught at UL but the genealogy is still a work in progress. Her trip to Ireland awakened something deep in her Celtic bloodlines, the Irish tradition of the Seanachi, the storytellers and historians of yore. Mary has published articles in Family Chronicle and Internet Genealogy. She’s currently working on a novel set in the San Francisco area in 1900 and 1901, based on stories of several of her ancestors and their associates. Her husband’s most recent sabbatical took them to Sydney, Australia. While he taught at the University of Western Sydney, Mary spent her time swapping research strategies and methodologies with the genealogists at the Botany Bay Family History Society. 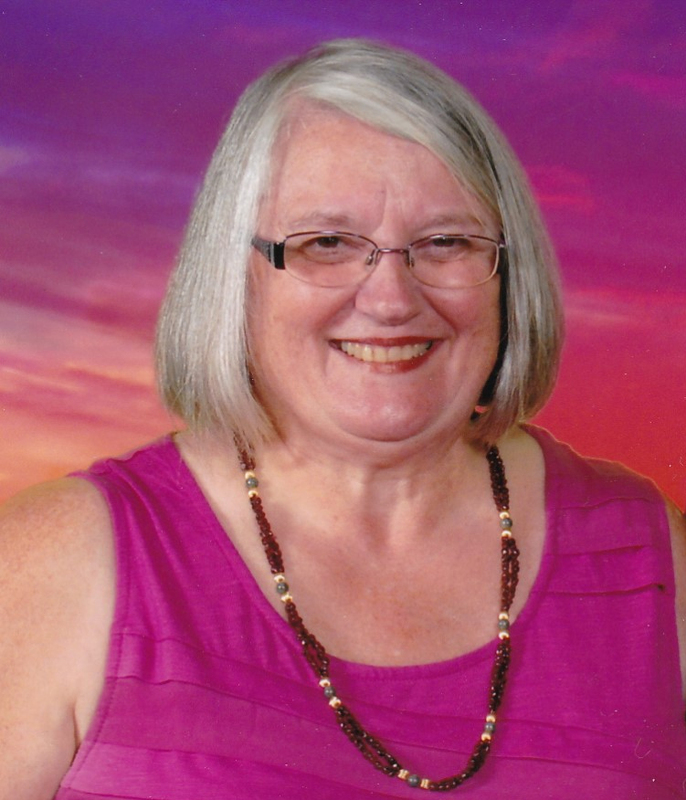 Mary frequently lectures around the Seattle area and is an active member of Seattle Genealogical Society. She is also a member of the Genealogical Speakers Guild, the Association of Professional Genealogists, and the National Genealogical Society. Please visit our website at http://www.jgsws.org/membership.php to join or to donate to JGSWS to help support the incredible speakers and workshops we bring to you, to view library listings, download handouts, or for more information. JGSWS is a 501(c)(3) tax-exempt non-profit organization. Membership dues and donations are tax deductible. Thank you very much and we look forward to seeing you, your friends and family members! 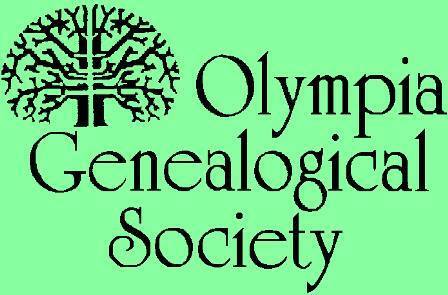 Seattle Genealogical Society and Sno-Isle Genealogical Society are co-sponsoring the new “DNA Learning Series”. This will be a series of seven classes, meeting once each month from April to October. Class will be held from 6:00 pm – 7:45 pm at the Mountlake Terrace – Sno-Isle Library, 23300 58th Ave W, Mountlake Terrace, WA 98043. These are hands-on classes working with your own DNA results in real time with experts available to help you accomplish the tasks. The series builds slowly, workshop style, using your own computer and has homework assignments. The instructors are Craig K Gowen and Cary Bright. Please note, beginning May 1, 2019, the hours of the Seattle Genealogical Society Library at 6200 Sand Point Way NE, Seattle, WA 98115 will be Tuesday through Saturday, 10:00 am – 3:00 pm. The library will be closed on Sundays except for events. VOLUNTEER APPRECIATION Thank you to all of our SGS volunteers! Write and submit grants…. and much more! Each quarter the Board of Directors selects a Volunteer of the Quarter, based upon their contributions to SGS. From beginner to advanced genealogist, Diahan will help you understand and help you organize your results to find those lost relatives. Also check out the Special Workshops on Sunday morning, May 19: “Organizing Your DNA Results”. Unless otherwise indicated all programs will be at the SGS Library, 6200 Sand Point Way NE, Seattle. Check the SGS Web Site for additions, changes, and corrections. Programs may be canceled or postponed because of inclement weather. The SGS Library will closed May 25-27 in observance of Memorial Day weekend. Lou Daly is leader of this special interest group exploring all the features of the tool Family Tree on FamilySearch.org Come learn about the proposed changes coming to Family Search and Family Tree. Sunday, May 5, 1:00 pm – 3:00 pm, DNA Workshop, with Cary Bright. Q&A first hour, while focus second hour in on Genome Mate Pro. Thursday, May 16, 6:00 pm-7:45 pm, DNA Learning Series Class 2: “yDNA & mtDNA Testing”, with Cary Bright and Craig K Gowen. 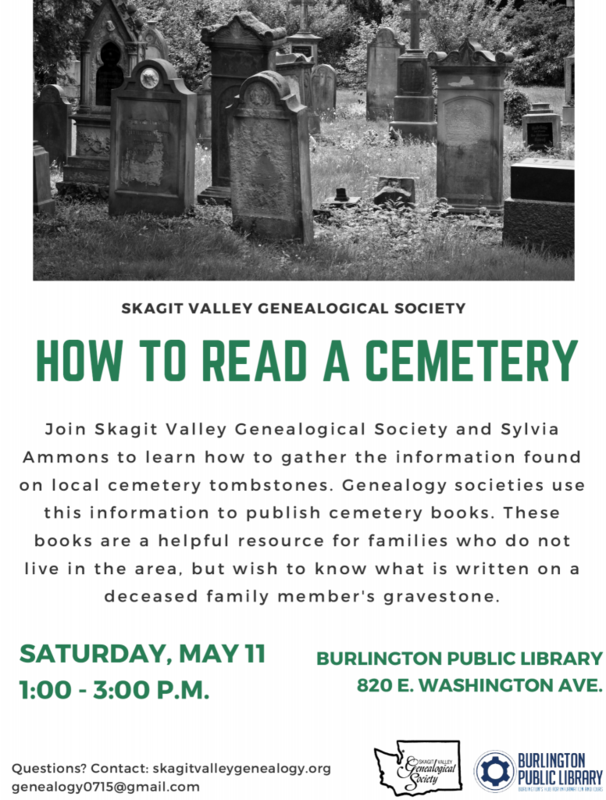 This series is for current members of the Seattle Genealogical Society (SGS) and the Sno-Isle Genealogical Society (SIGS) only. Free advance registration is required for each class. These classes will be held at the Mountlake Terrace – Sno-Isle Libraries, 23300 58th Ave W, Mountlake Terrace, WA 98043. To register, email : sgsdnasig@gmail.comSaturday, May 18, The SGS Library will be closed so all SGS volunteers may attend the SGS 2019 Spring Seminar at Fairview Christian School. Sunday, May 19, the SGS Library will be closed for a special event. 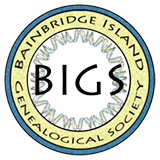 The Bainbridge Island Genealogical Society (BIGS) will meet Friday, April 19, 2019, at the Bainbridge Island Public Library on Bainbridge Island, 1270 Madison Ave, from 10:00a.m. – 12 noon. The April meeting is the annual BIGS business meeting with election of officers plus the monthly presentation topic of “Family Search Free-for-all”by our ownJolene Aitchison. This program offers a Q&A on all things Family Search. Parking is available in the 2 library parking facilities, accessed from High School Ave and Madison Ave North. Free to members, a $5.00 donation is suggested for nonmembers. 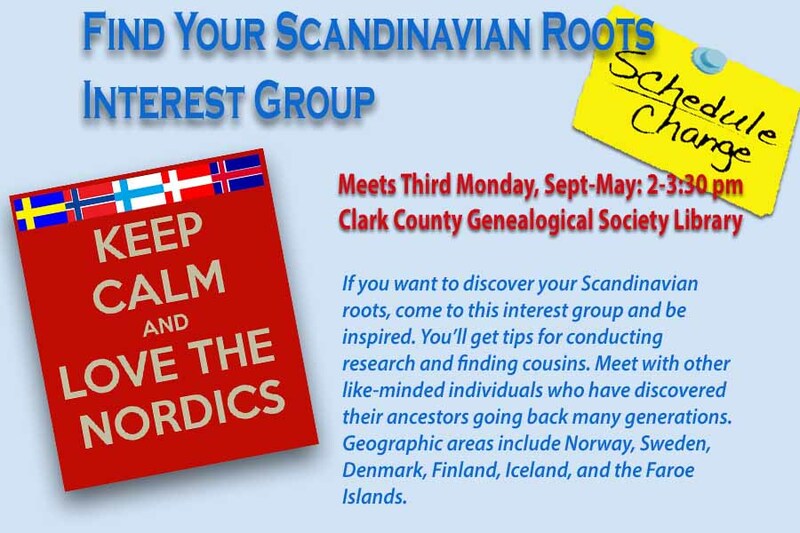 For more information go to http://www.bigenealogy.org or call 206-755-9283. BIGS is a 501c(3) non-profit organization. COMING SATURDAY, MAY 18, 2019! Don’t miss our 2019 Spring Seminar, “Next Steps for Your DNA Test Results”, featuring Diahan Southard. From beginner to advanced genealogist, Diahan will help you understand and help you organize your results to find those lost relatives. For more than 15 years, dedicated SGS volunteers have staffed a table at the Irish Festival each March. This well-attended festival brings people from all around Puget Sound to the Seattle Center to learn and celebrate Irish culture, history, and music. SGS volunteers answered questions about Irish genealogy to a steady stream of visitors. Some stayed for long, in-depth conversations about their family histories and roadblocks. Visitors to the SGS booth also learned about our library and upcoming events including the Spring Seminar, “Next Steps for Your DNA Results” with Diahan Southard on May 18th and 19th. Jean Roth’s lectures on Saturday and Sunday, “Introduction to Irish Genealogy”, were well attended. A big thank you to our Irish Festival volunteers: Jean Roth, Jim Ryan, Donna Judd, Vern Judd, Ida McCormick, Jack Donahue, George Kulstad, Annette Dwyer and Karen Portzer. THE SPRING RAFFLE IS RAMPING UP! We are now accepting donations of goods or services for the Spring Workshop raffle (May 18). In the past, we have gratefully received items such as DNA kits, genealogy books, jewelry, ballet tickets, quilts, and genealogy tools. Use your imagination. Proceeds from the raffle support the SGS library, and donations are tax deductible. Donated items can be sent or brought to the SGS library. 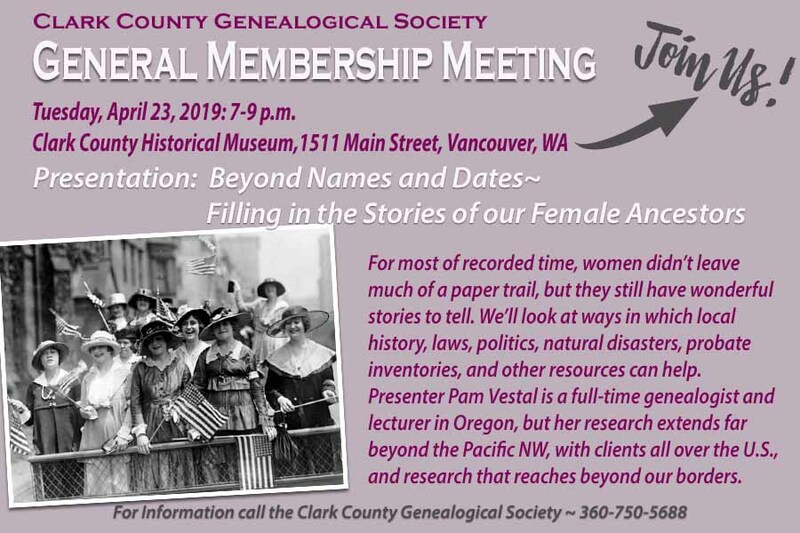 Please also send an email message to volunteers@seattlegenealogicalsociety.org telling us of your donation prior to mailing or delivering the item so we will be on the alert for its delivery. Karin Borgersen, member and friend of SGS, recently started a new position as the program manager for the Genetic Counseling Graduate Program at University of Washington. She’s excited to be working with a great team to launch a program that she feels is going to be really fantastic. A professional genealogist, Karin says she still will be taking clients at her business, Borgersen Research, albeit on a reduced schedule. Doors open at 6:30 p.m. Come early to network with other attendees. Unless otherwise indicated all programs will be at the SGS Library, 6200 Sand Point Way NE, Seattle. Check the SGS Web Site for additions, changes, and corrections. Programs may be canceled or postponed because of inclement weather. 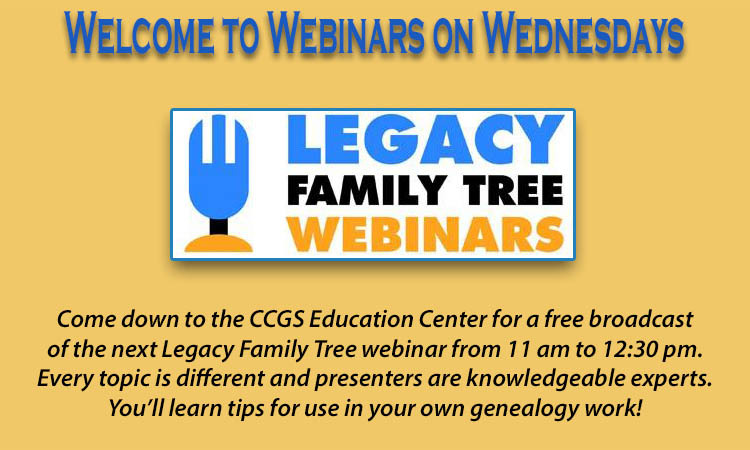 Saturday, April 6, Lou Daly is leader of this special interest group exploring all the features of the tool Family Tree on FamilySearch.org Come learn about the proposed changes coming to Family Search and Family Tree. Sunday, April 7, 1:00 pm – 3:00 pm, DNA Workshop, with Cary Bright. Q&A first hour, while focus second hour in on Genome Mate Pro.